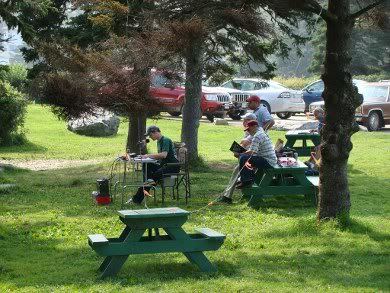 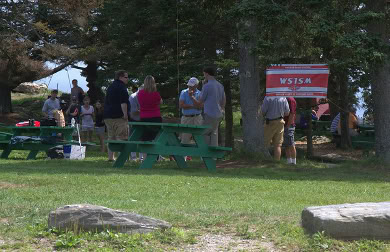 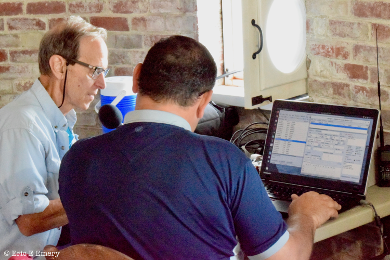 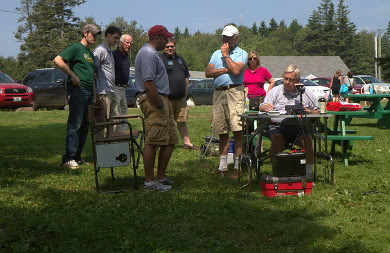 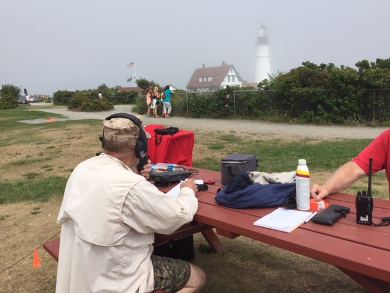 On Sunday, August 21, 2011, the 18th annual International Lighthouse & Lightship Weekend was our first ham radio lighthouse activation as a club. 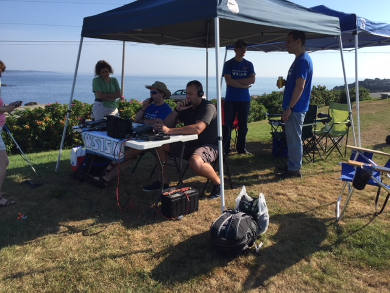 The WS1SM team, consiting of Thom Watson W1WMG, Tim Watson KB1HNZ, Frank Krizan KR1ZAN, Frank Allen WA1PLD, and Jason Andrews KB1UXB, operated for 7 hours and tallied 96 contacts. 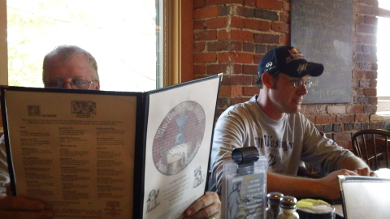 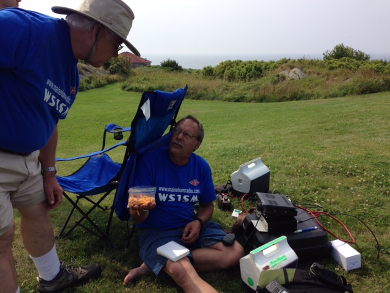 Bruce Howes W1UJR, from nearby Wiscasset, and other local hams, also stopped by to join the fun. 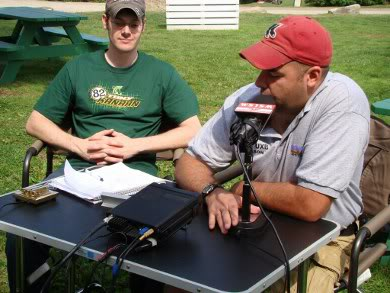 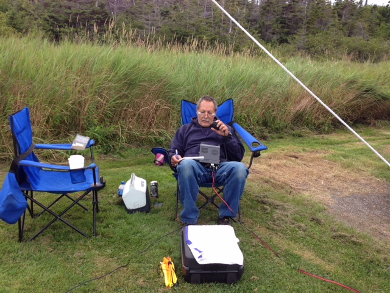 The expedition is best remembered for Jason Andrews making his first HF QSO. 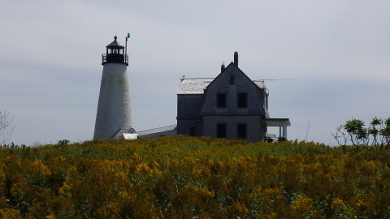 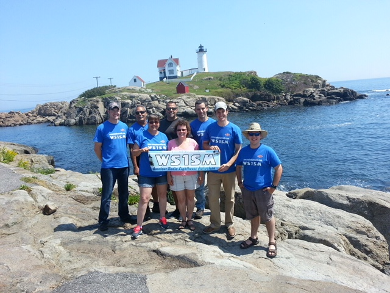 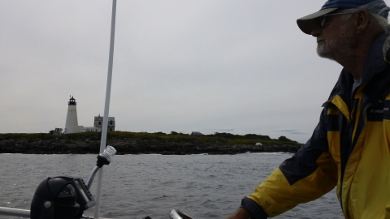 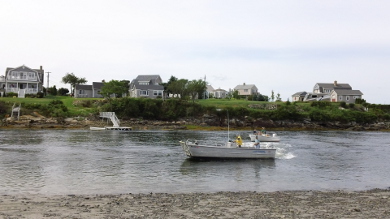 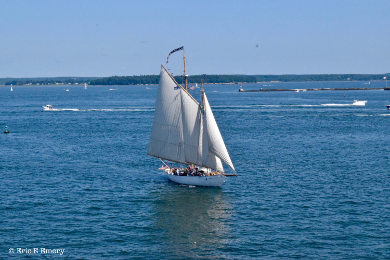 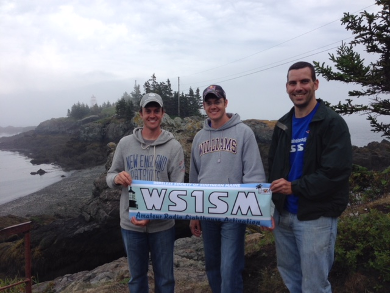 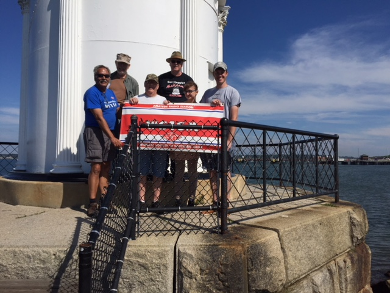 On August 19, the WS1SM team, consisting of Thom Watson W1WMG, Sam Webber N1WIG, Dave Wood KB1FGF, Rory McEwen KB1PLY, and Tim Watson, activated Wood Island Lighthouse, off the coast of Biddeford Pool, ME, for the 2012 International Lighthouse & Lightship Weekend (ILLW). 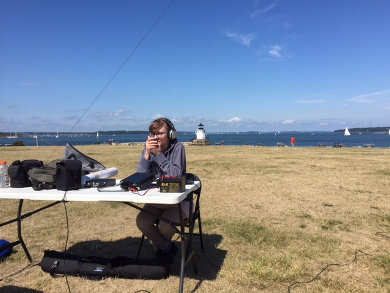 Since the lighthouse is also on an island, the activation also qualified for Islands on the Air (IOTA) and US Islands on the Air, having designators for each. 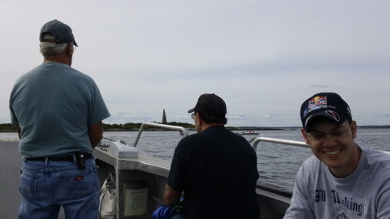 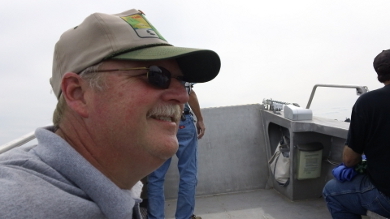 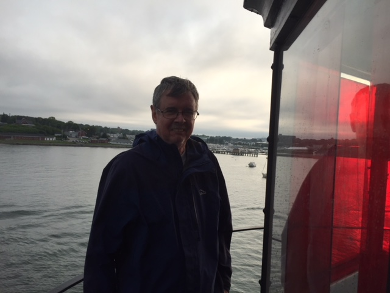 The day began with a trip on the "Light Runner," which is an aluminum landing craft which is primarily used by the Friends of Wood Island, who maintain and care for the lighthouse and surrounding area. 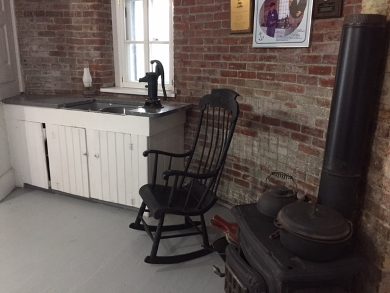 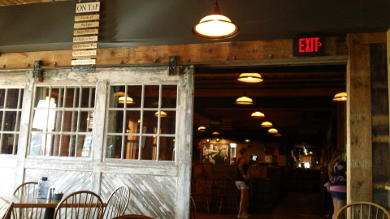 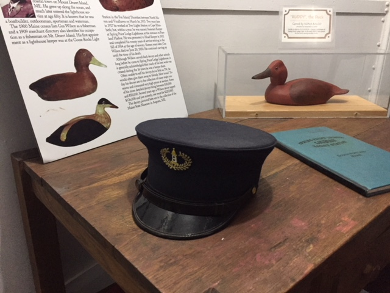 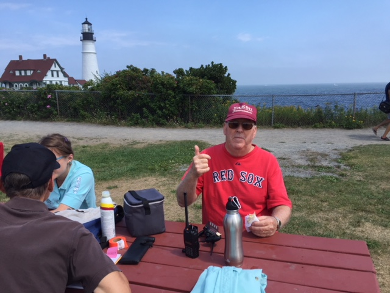 The weather was fantastic throughout the day, and there were many visitors on tours who stopped by as well, including Tammy Wells, a writer for the Journal Tribune newspaper, in Biddeford. 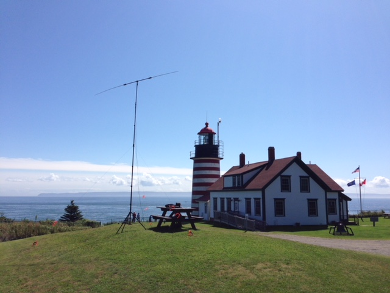 Altogether WS1SM made 97 QSO's contacting several lighthouses throughout the country and around the world, as well as many chasers. 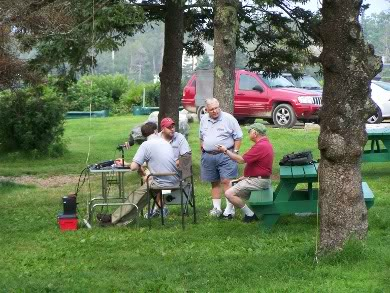 The stations consisted of a Yaesu FT857d, and Icom IC7000, using a 40m dipole and Buddipole rotatable dipole antenna, on 100% battery power. 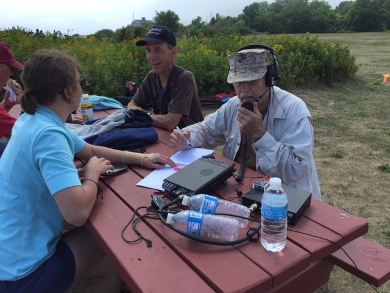 On August 18, 2013 the WS1SM team, consisting of Steve McGrath N1EOE, Frank Ktizan KR1ZAN, Ryan Michaelson KB1YTR, Charlie Shepard W1CPS, Tim Watson KB1HNZ, the Dumont family (Dakota KB1YYC, Annette KC1AMQ, and Bert KB1ZLV), and Dave Wood KB1FGF, returned to Pemaquid for International Lighthouse & Lightship Weekend (ILLW). 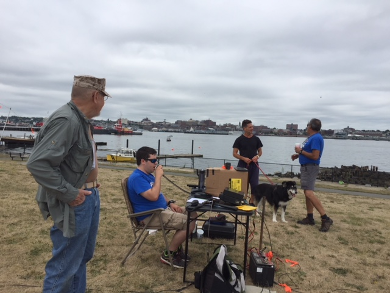 The team made over 200 QSO's using multiple stations, including Steve's "go box" outfitted with a Yaesu FY897, tuner, and battery pack. 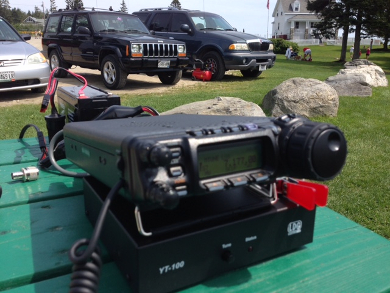 We also used Tim's Yaesu FT857d on battery power, Ryan's Elecraft KX-3, and Charlie's Icom IC-7000. 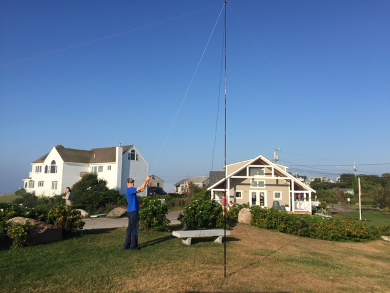 Antennas included a BuddiPole rotatable dipole, a G-Whip end fed zepp, a 40m dipole, and a multi-band fan dipole. 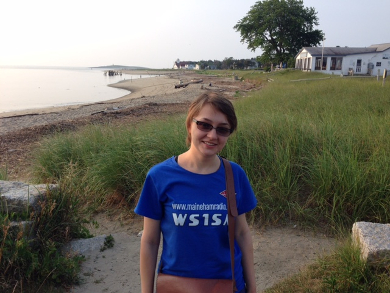 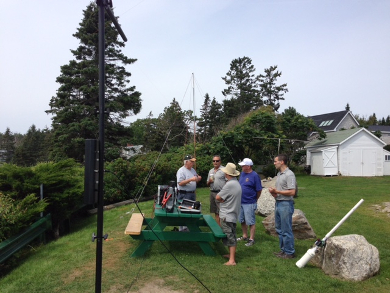 On July 26, an international team of hams set off to Seguin Island to activate it for the 2014 RSGB Islands on the Air Contest. 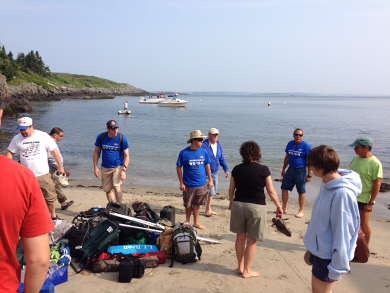 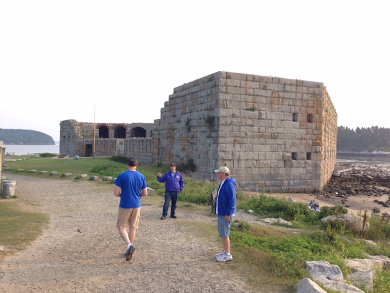 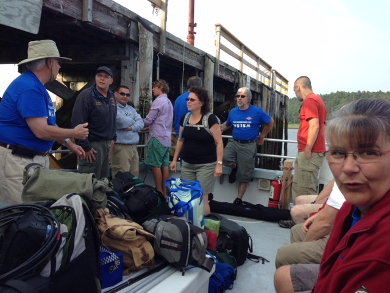 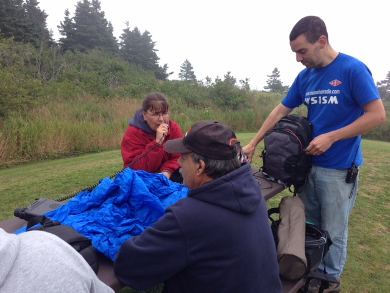 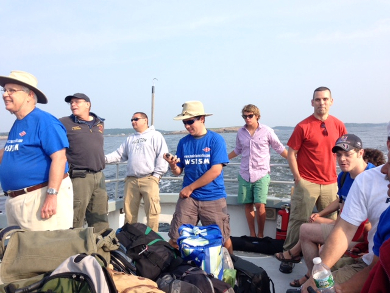 Team members packed their gear abourd the Leeward, which departed from Fort Popham early Saturday morning. 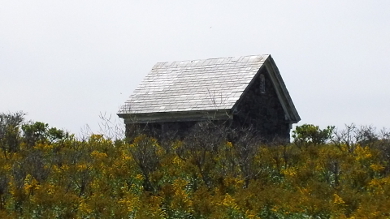 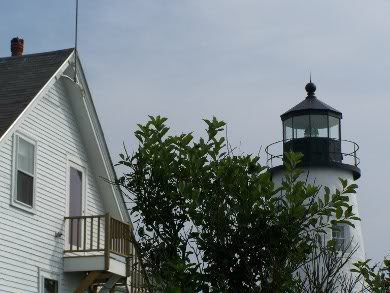 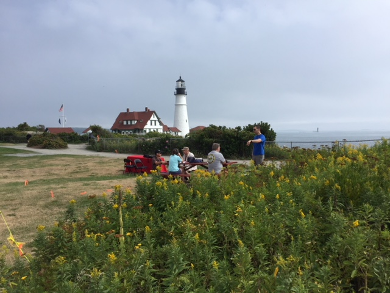 Once at the island, our planned operating position, which was Seguin Island Head Light, vanished from view, since it was situated atop a large hill on the far end of the island. 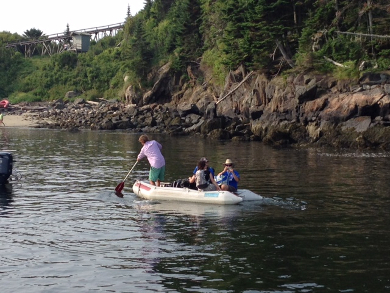 Gear was packed aboard an inflatable dinghy and a few people at a time were rowed to shore by one of the ship's crew. 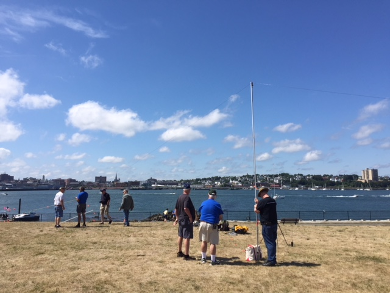 Once everything was unloaded on the small beach, the heavier equipment was piled onto a tram that was pulled to the top by a chain-driven diesel engine. 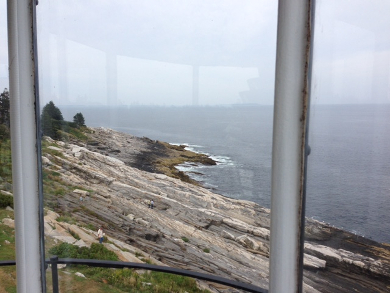 We hiked along a trail on the side of the tram line, and made it to the lighthouse about 15-20 minutes later. 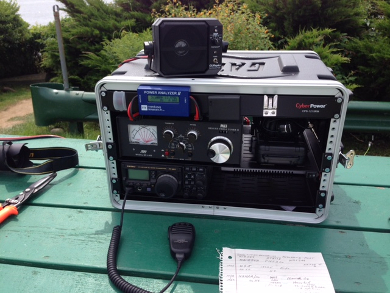 Once there, we began to setup our 4 stations (3 HF & 1 VHF). 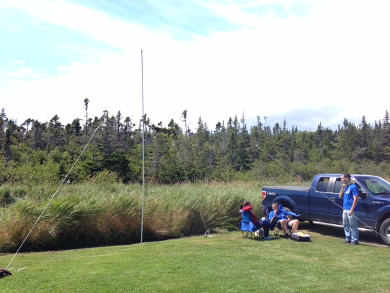 We used a variety of wire antennas, a BuddiPole, and a mast and beam for VHF. 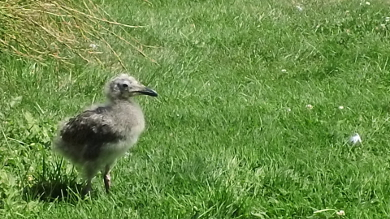 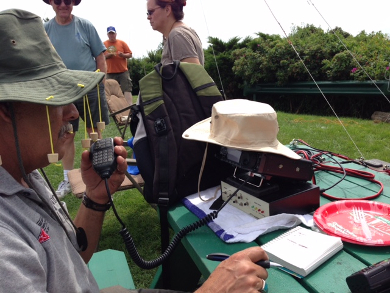 We had many contacts with participating stations, including several other island expeditions around the world. 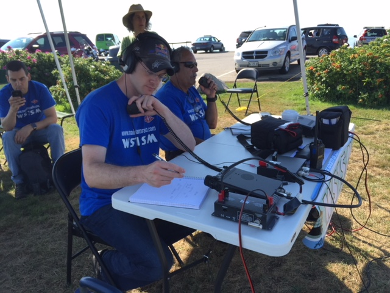 The WS1SM team consisted of: Sam Webber N1WIG, Frank Krizan KR1ZAN, Thom Watson W1WMG, Tim Watson KB1HNZ, Charlie Shepard W1CPS, Cindy Shepard W1CJS, Sean Binette W1GFD, Stefania Chiruta YO9GJY, the Dumont family (Annette KC1AMQ, Bert KB1ZLV, and Dakota KB1YYC), Bill Richardson NG1P, Willie Richardson KC1AKU, Ryan Michaelson KB1YTR, and Dave Wood KB1FGF. 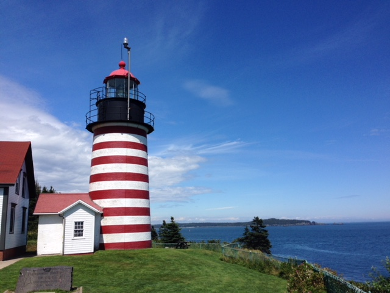 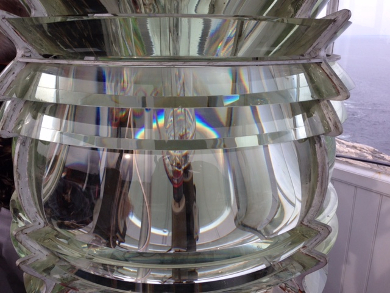 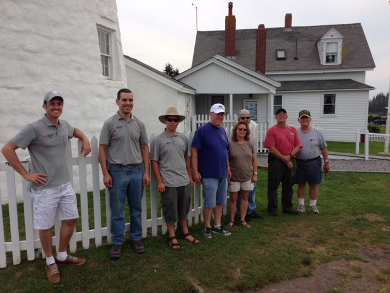 On the weekend of August 16-17, the WS1SM team, consisting of Charlie Shepard W1CPS, Cindy Shepard W1CJS, Ryan Michaelson KB1YTR, Thom Watson W1WMG, and Tim Watson KB1HNZ, activated West Quoddy Head Light for the 2014 International & Lightship Weekend (ILLW). 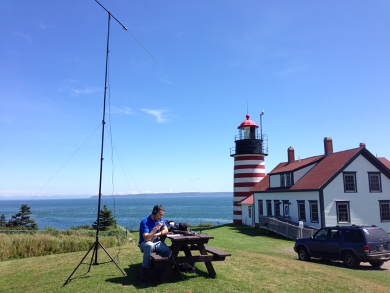 Operating 3 stations simultaneously on mixed HF with battery power, the team made over 200 QSO's, many of which were lighthouse-to-lighthouse contacts. 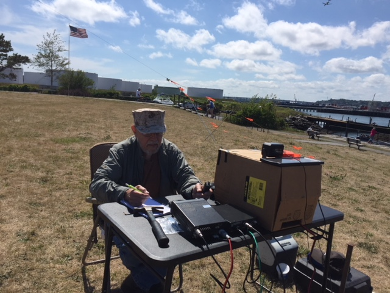 Stations consisted of a Yaesu FT857d with BuddiPole rotatable dipole, and Icom IC706MKIIG with a SOTA Beams 40m dipole, and an Icom IC7000 with a fan dipole for 10/15/20m. 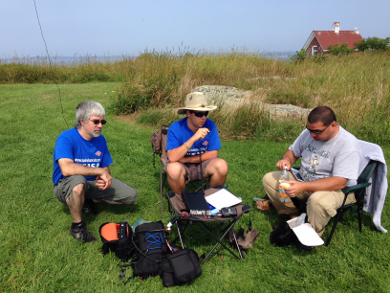 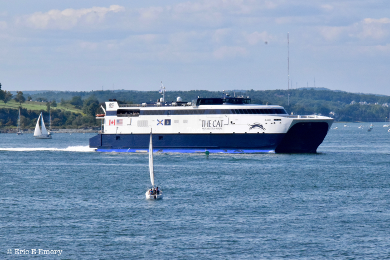 On Sunday, August 17, WS1SM team members Ryan Michaelson KB1YTR, Thom Watson W1WMG, and Tim Watson KB1HNZ, ventured to New Brunswick's Head Harbor Light Station, to activate their first Canadian light for ILLW. 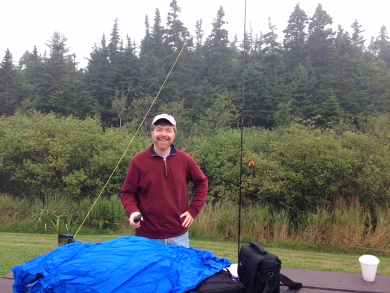 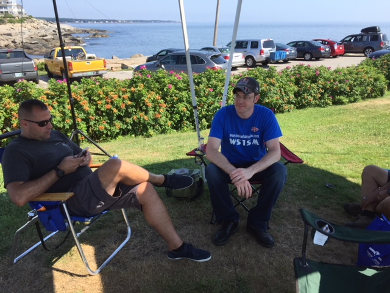 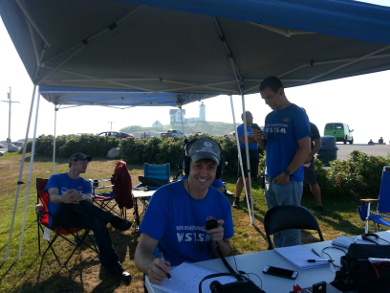 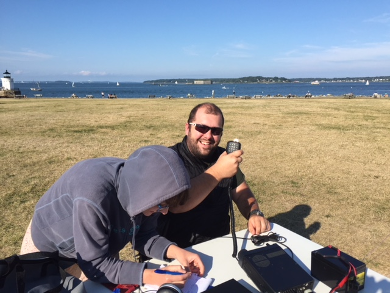 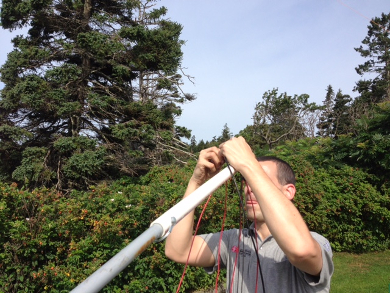 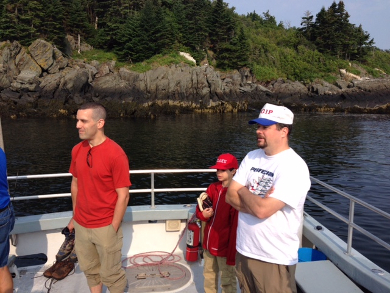 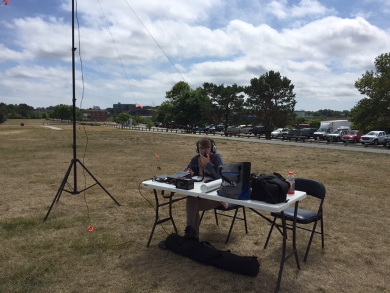 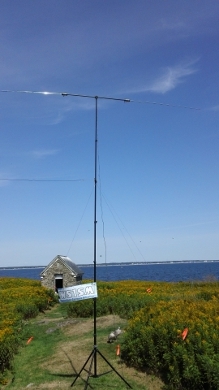 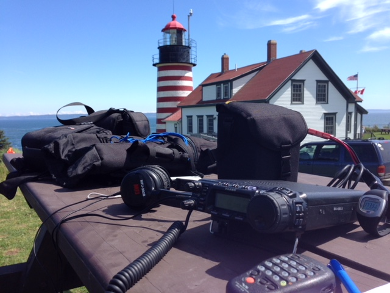 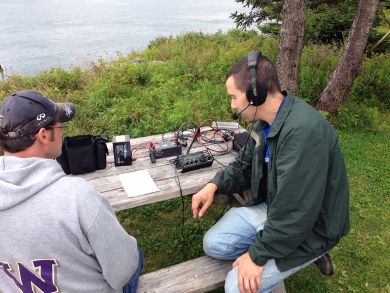 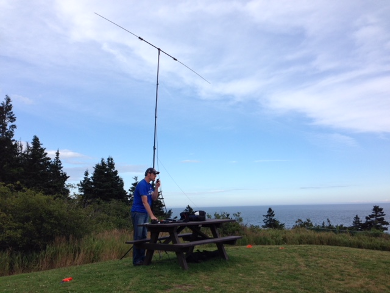 Using call sign VE9/WS1SM, the team setup Ryan's Elecraft KX3 with random wire antenna for HF, and also used a Kenwood TMD710 to make several contacts on VHF, including a member of the Swallowtail Lighthouse ILLW team on Grand Manan Island. 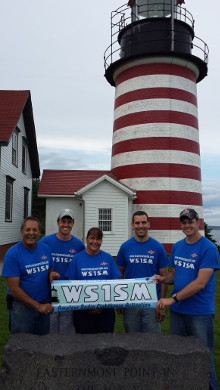 On August 16, the WS1SM team, including Charlie Shepard W1CPS, Cindy Shepard W1CJS, Ryan Michaelson KB1YTR, Annette Dumont KC1AMQ, Dakota Dumont KB1YYC, Thom Watson W1WMG, Tim Watson KB1HNZ, and Jason Andrews W1SFS, activated Cape Neddick "Nubble" Lighthouse for the 2015 International Lighthouse & Lightship Weekend (ILLW). 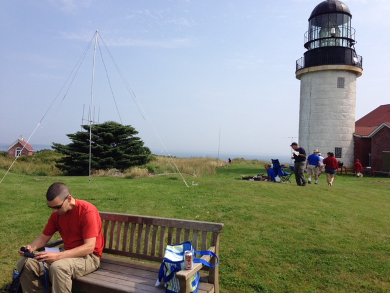 Operating 3 stations simultaneously on mixed HF with battery power, the team made over 100 QSO's, many of which were lighthouse-to-lighthouse contacts. 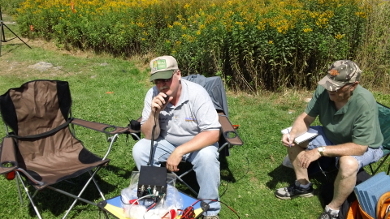 Stations consisted of a Yaesu FT857d with a BuddiPole rotatable dipole, an Icom IC7000 with a SOTA Beams 40m dipole, and an Elecraft KX3 with random wire. 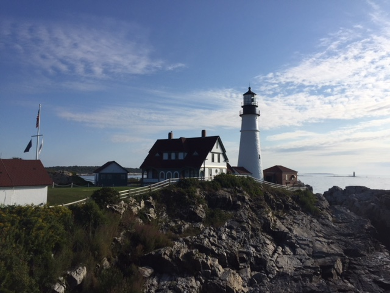 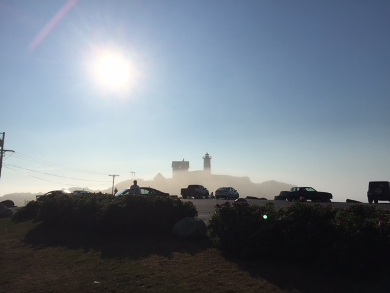 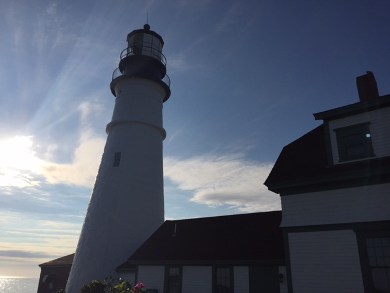 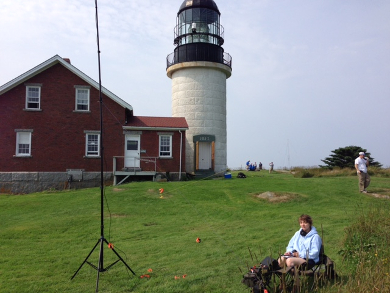 During the weekend of August 20-21st, the WS1SM team activated Portland Head Light for International Lighthouse & Lightship Weekend (ILLW). 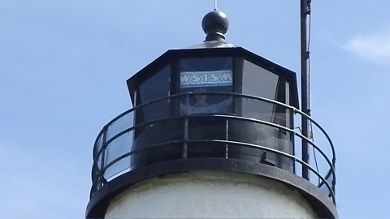 2016 marked the sixth year that WSSM has participated in the event, which sees more than 500 lighthouses activated worldwide. 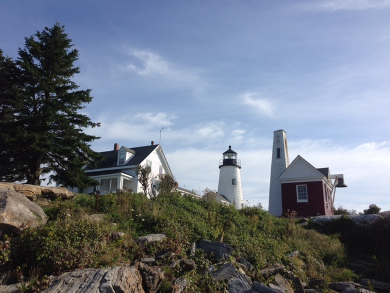 Portland Head Light is an historic landmark, having been commissioned by George Washington in 1787. 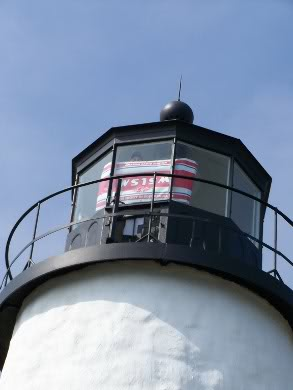 It was first illuminated on January 10, 1791 using Whale Oil Lamps. 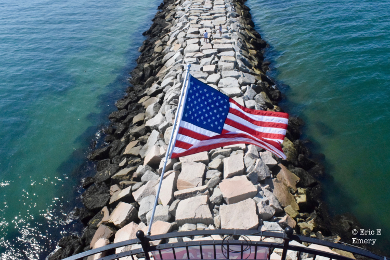 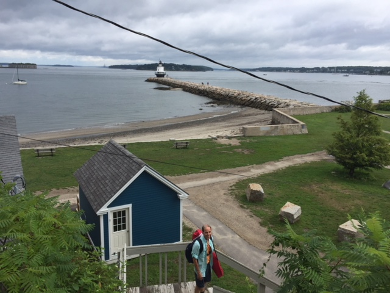 Surrounded by rocky ledges that extend to the sea, the lighthouse is located within the picturesque Fort Williams Park, in Cape Elizabeth. 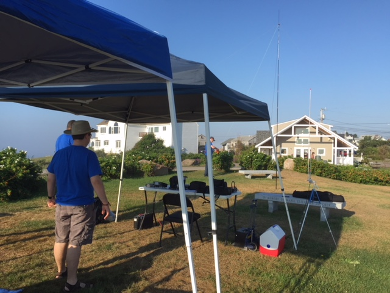 On Saturday the 20th, we setup on the lawn just to the right side of the lighthouse, eventually including three HF stations, operating exclusively on battery power. 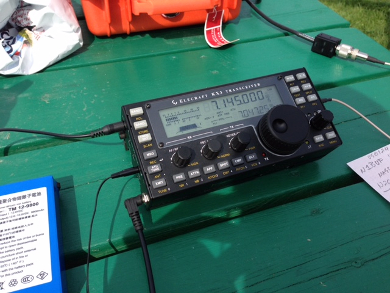 The first was comprised of a Yaesu FT857d and a 40m inverted-V antenna. 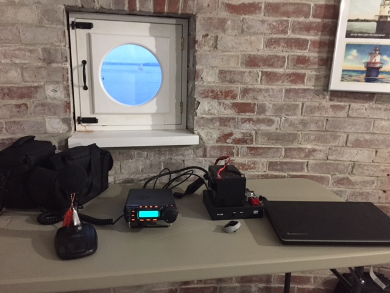 The second was an Icom IC7000 and a windom for 20m and 17m, and the third was truly a "station in a box," including a Yaesu FT897, tuner, battery, and external speaker, using a portable loop antenna. 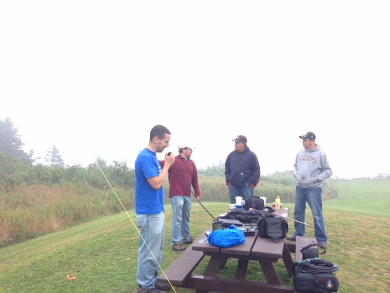 The day started out foggy and mostly cloudy, and that lasted until about 2pm, when the sun finally broke through. 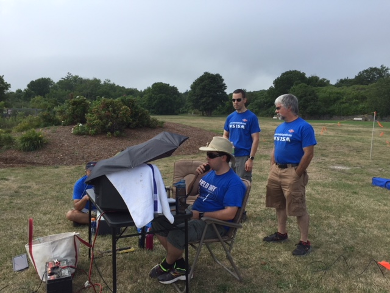 Most of the operators weren't prepared for the sun, as they intended to use EZ-ups for the shade, but park officials gave us last minute notice that they wouldn't allow them. 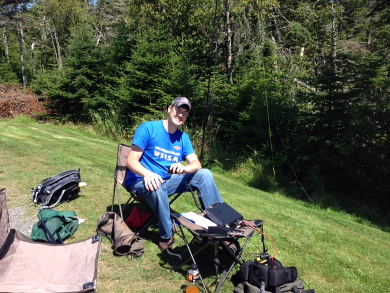 Therefore, for Sunday, we moved operations closer to the tree line to take advantage of the shade. 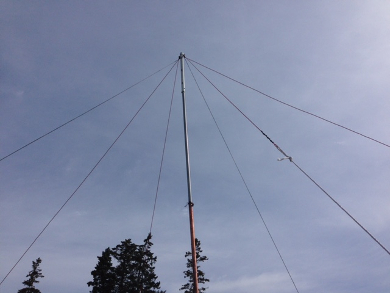 We saw the most activity on 40 meters, as propagation on the higher bands was not very good. 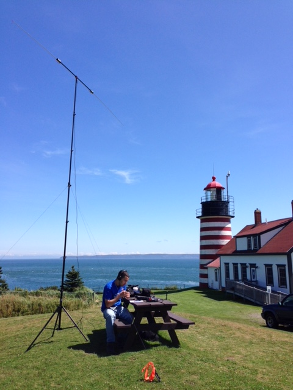 This improved, however, on Sunday, as wel doubled the amount of QSO's on those bands over the prior day. 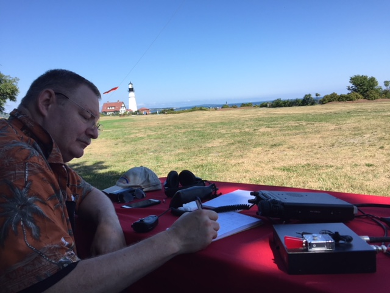 We had fun chasing other lighthouses, and had QSO's with many over the two days, including lighthouses in Scotland, Austria, Greece, the Great Lakes, and more. 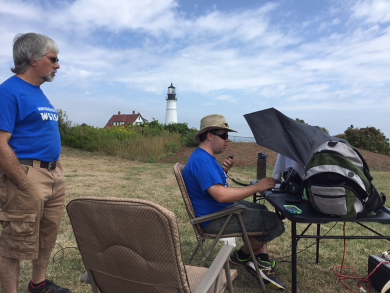 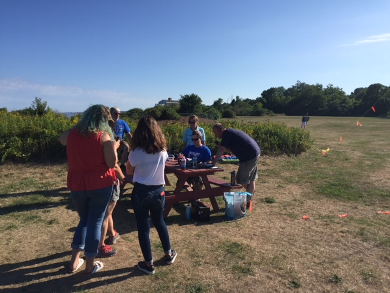 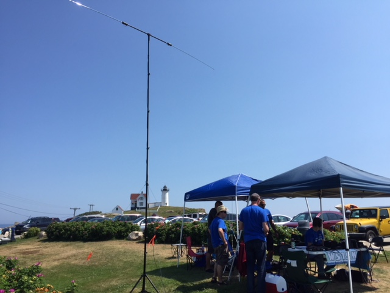 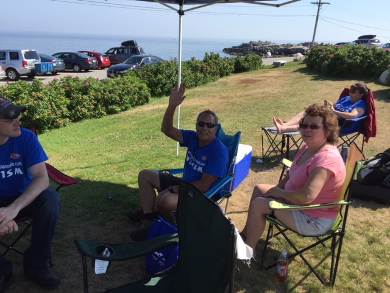 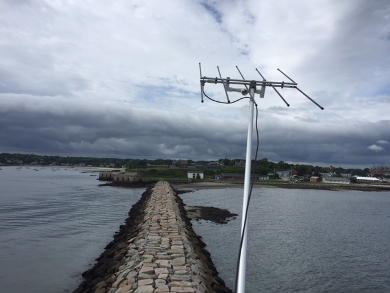 We also enjoyed having QSO's with the various chasers who were collecting lighthouses over the weekend - many who were happy to work Portland Head Light for the first time. 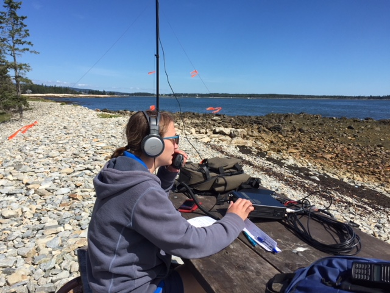 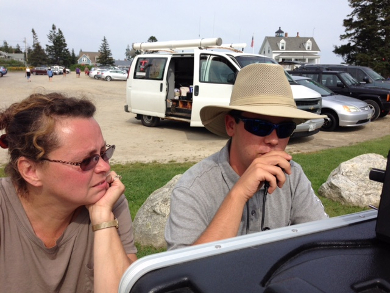 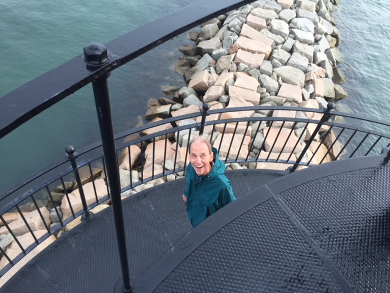 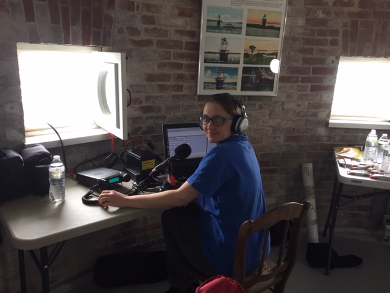 On September 10th, 2016, Stefania Watson K1GJY, and her husband Tim KB1HNZ, activated Bass Harbor Head Light as part of their National Parks on the Air expedition to Acadia. 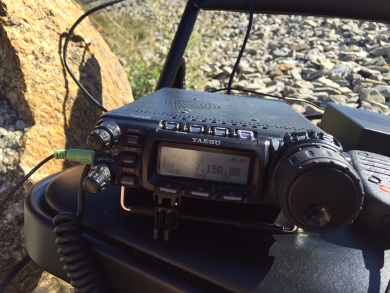 The station consisted of an Icom IC706 MKIIG, on battery power, with a BuddiPole antenna. 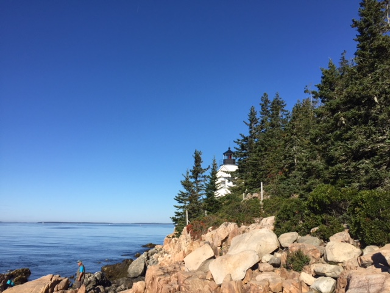 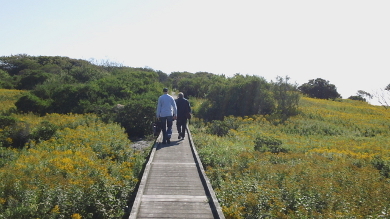 Bass Harbor was one of three locations within the park that they operated from, which included the Natural Seawall, and Cadillac Mountain. 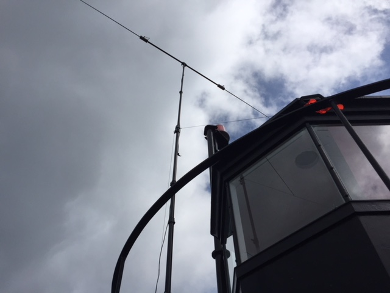 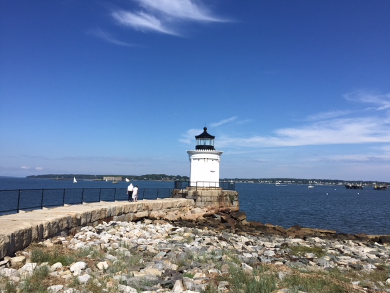 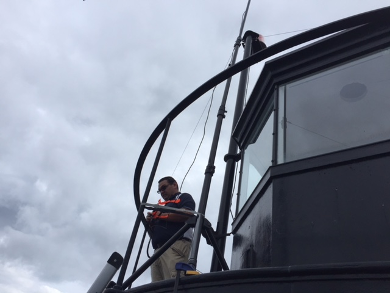 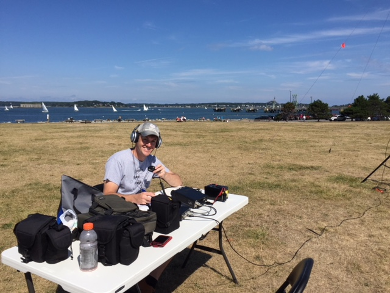 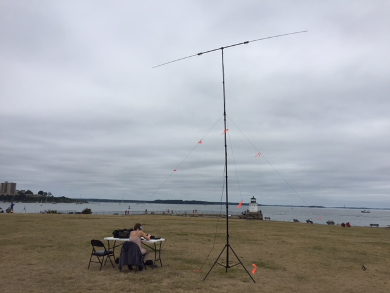 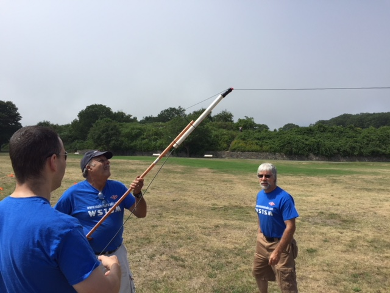 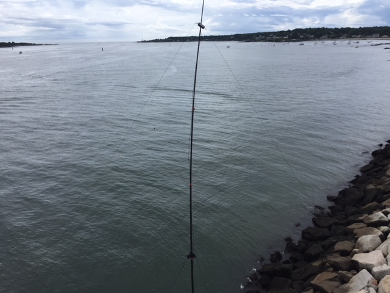 During the weekend of August 19-20th, the WS1SM team activated Portland Breakwater Light for International Lighthouse & Lightship Weekend (ILLW). 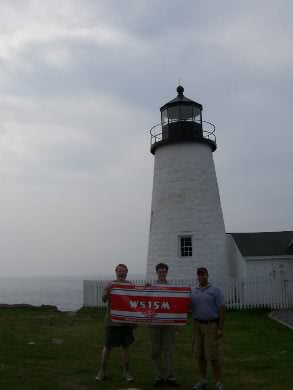 2017 marked the seventh year that WSSM has participated in the event, which sees more than 500 lighthouses activated worldwide. 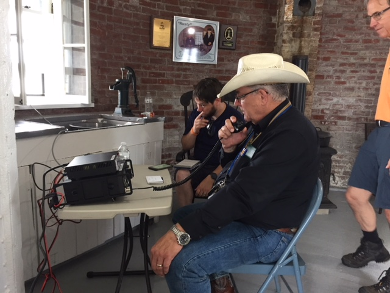 Club members who participated, included Charlie Shepard W1CPS, CJ Carlsson W1CJC, Eric Emery KC1HJK, Frank Krizan KR1ZAN, Fred Ward W4FWW, Dakota Dumont KB1YYC, Rory McEwen KB1PLY, Dave Wood KB1FGF, Stefania Watson K1GJY, and Tim Watson KB1HNZ. 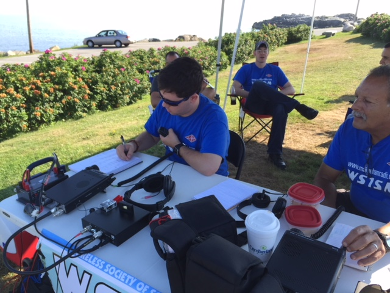 We operated two full-time HF stations, including an Icom IC7000, on battery power, with an Off-Center-Fed dipole antenna, and an Icom IC706 MKIIG on battery power, with a BuddiPole antenna. 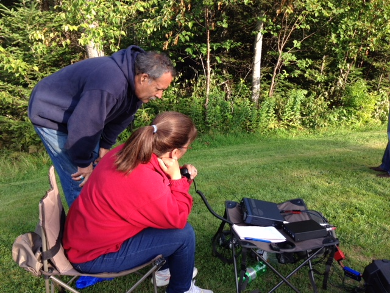 Team members also used various HTs for QSOs on 2 meters and 70cm. 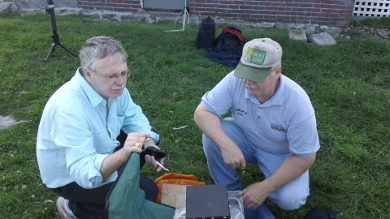 The expedition is best remembered for Eric Emery KC1HJK, making his first HF QSO. 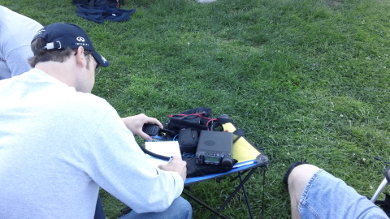 Eric KC1HJK makes his first HF contact! 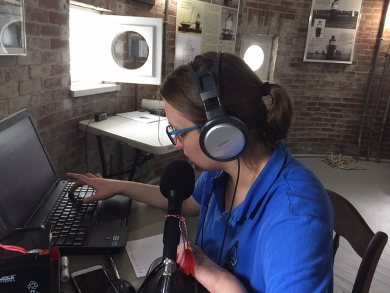 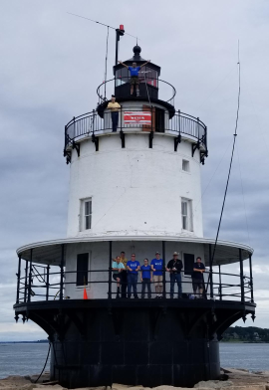 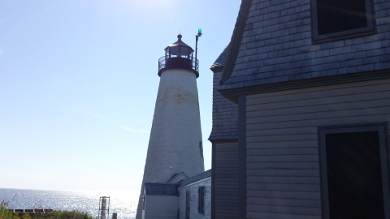 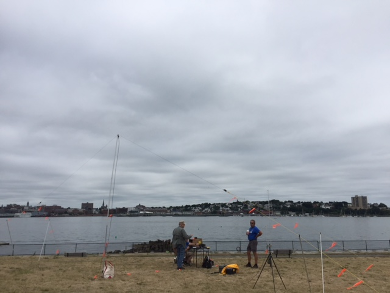 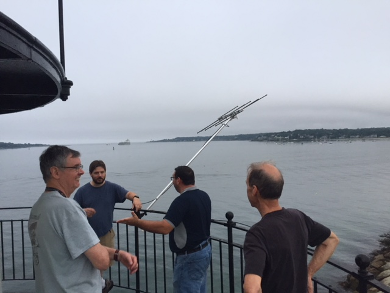 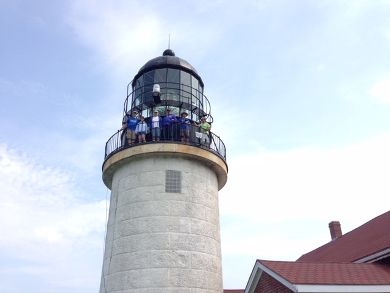 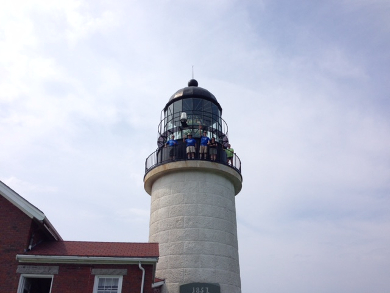 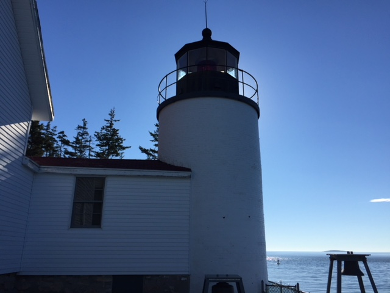 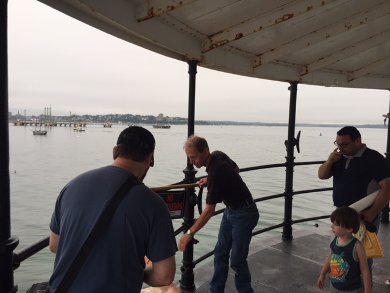 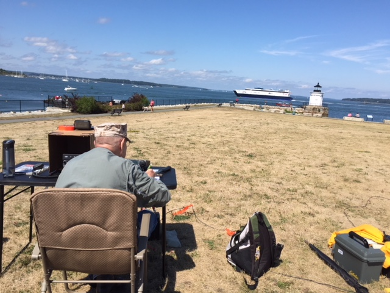 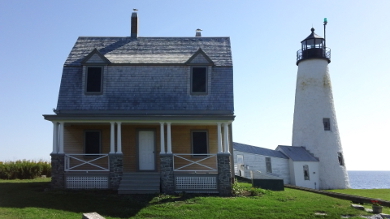 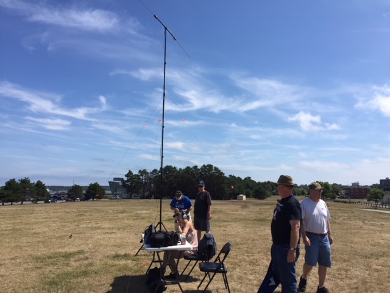 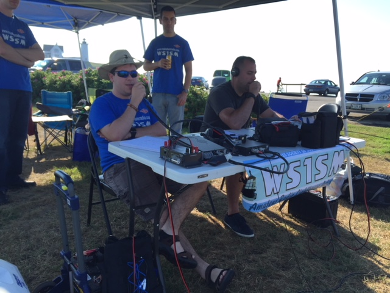 During the weekend of August 18-19th, the WS1SM team activated Spring Point Ledge Lighthouse, in South Portland, ME, for International Lighthouse & Lightship Weekend (ILLW). 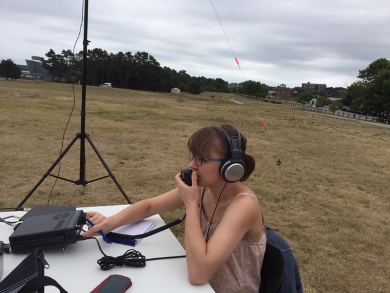 Club members operated from 10am-4pm on both days, using the special event call sign K1S. 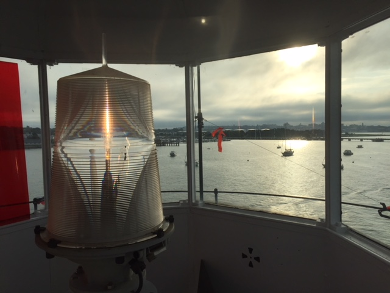 2018 marked the eigth year that WSSM has participated in ILLW, which sees over 500 light houses and lightships activated in over 40 countries. 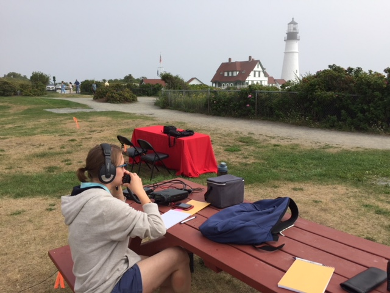 The international event helps promote the preservation of lighthouses and lightships, and at the same time gives the community an opportunity to experience Amateur Radio first hand. 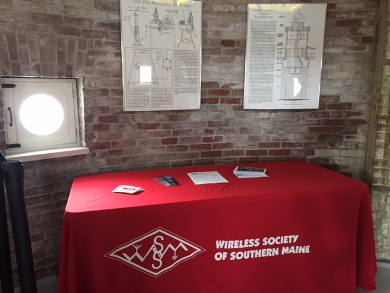 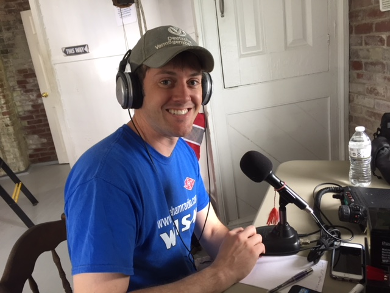 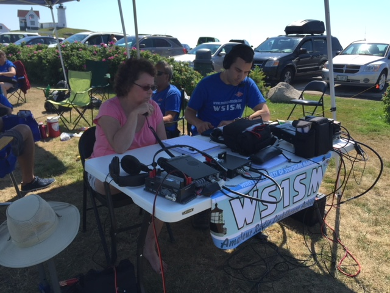 WSSM operated 2 stations full time, from within the lighthouse, including a Yaesu FT-857d with a BuddiPole (for 6-20m) antenna, and an Icom IC7300 connected to a 40m dipole. 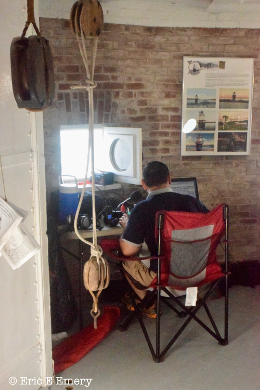 This was the first time we were able to operate from inside an active lighthouse. 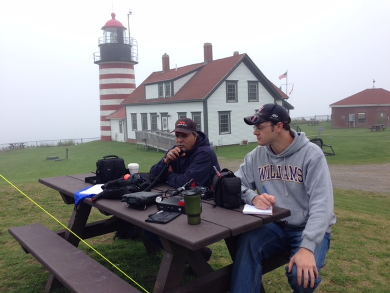 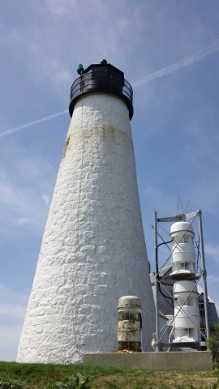 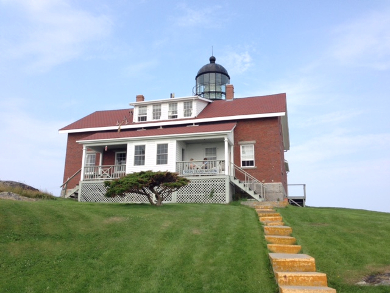 Special thanks to Keith Thompson AC1EG, and the Spring Point Ledge Light Trust for their hospitality. 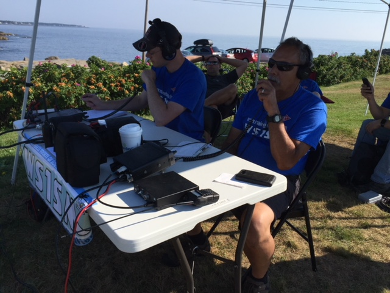 Particpants included Mike Fandell N5QYQ, Charlie Shepard W1CPS, Sean Binette W1MSA, Eric Emery KC1HJK, Curt Sachs K2IPH, Rory McEwen KB1PLY, Stefania Watson K1GJY, Tim Watson KB1HNZ, Brad Brown, Jr. KC1JMH, Keith Thompson AC1EG, and Peter Warren KC1DFO.